Baddeck, N.S. – Mabel Bell: Celebrating a Life & Legacy of Outstanding Nova Scotia Achievements in Art & Science celebrates unique achievements and contributions through a series of activities hosted and delivered by Nova Scotians in historically significant communities and places. We have assembled an accomplished group of Nova Scotians who, with the support and engagement of Dr. Roberta Bondar and her Foundation, will help our communities celebrate the legacy of Mabel Bell and our extraordinary accomplishments as a province in the areas of art and science – both past, present and future. Activities will run from July 2017 to September 2017 in Lunenburg and Baddeck and include concerts as well as a travelling photo exhibit, which will also include the Nova Scotia 150 Roberta Bondar Photo Challenge aimed at engaging younger generations and promoting environmental education. 2017 marks the 110th Anniversary of the formation of the Aerial Experiment Association (October 1, 1907) and the central role of Mabel Bell – the first woman in the world to fund, form and manage an aviation company. The Association achieved the first controlled, powered flight in Canada, with the Silver Dart, in Baddeck. In recognition of the importance of this flight in Canadian aviation history, Dr. Roberta Bondar was the honourary chair of the Silver Dart Anniversary Committee and was present in Baddeck in February of 2009 for the flight of the Silver Dart reproduction that is now on display at Alexander Graham Bell National Historic Site. Mabel Bell was also a photographer and painter who lived half her life in Baddeck and made significant contributions to the community. 2017 also marks 25 years since Dr. Roberta Bondar became Canada’s first woman in space. Building on her long-standing relationship and connection with the achievements of Alexander and Mabel Bell, Alexander Graham Bell National Historic Site and the Elmer Iseler Singers led by accomplished Nova Scotia native Lydia Adams, Dr Bondar will help Nova Scotia celebrate its significant achievements in the areas of history, arts, science and technology– and how the coupling of art and science that began with Alexander and Mabel Bell continues today and into the future. High Flight: Songs of the Stars is a multi-media choral performance of sonic splendour combined with captivating photographs and images of space, highlighting music of the spheres by Canadian composers Eleanor Daley, Imant Raminsh, Jason Jestadt, Ruth Watson Henderson, R. Murray Schafer, and Harry Somers, as well as the performance of a work by Lydia Adams, with text by Dr. Roberta Bondar describing her experience of leaving Earth and coming back once again to its sublime beauty. Dr. Bondar will speak at the event about the search in the stars for new possibilities for life on other planets. The concerts will be held at St. John’s Anglican Church in Lunenburg on Wednesday, July 19 at 7:30 p.m. and at Alexander Graham Bell National Historic Site in Baddeck on Friday, July 21 at 7:30 p.m. Music was a very important aspect of the Bell family’s life, despite Mabel Bell being deaf. The Roberta Bondar Travelling Photo Exhibition, Light in the Land – The Nature of Canada focuses on the theme of helping to create an emotional bond between the nature of the country and the individual. This exhibition will highlight and educate the public on the role and importance of photography in the life of Mabel Bell, as well as include profiling of Mabel’s own photography and paintings, many of which document her life in Baddeck with Alexander Graham Bell. Light in the Land – The Nature of Canada will be on display at Alexander Graham Bell National Historic Site in Baddeck with the opening reception being held on Thursday July 20. The exhibition will be also on display at the Lunenburg School of the Arts in Lunenburg, with the opening reception being held on Friday August 18. The activities mark a first-time collaboration of Nova Scotia and national partners – the Alexander Graham Bell Foundation in collaboration with The Roberta Bondar Foundation, Alexander Graham Bell National Historic Site – Parks Canada, the Elmer Iseler Singers, Lunenburg School of the Arts, Musique Royale and Cape Breton University. “This project aims to celebrate the life’s work of Mabel Bell and her legacy of inspiring outstanding achievements by Nova Scotians in art, science and technology,” says Senator Wilfred Moore, Volunteer Chair of the Lunenburg School of the Arts. Please stay tuned for more details on all our events including the sale of concert tickets in Lunenburg & Baddeck. The Province of Nova Scotia – Department of Communities, Culture and Heritage’s 150 Forward Fund. The 150 Forward Fund supports opportunities for Nova Scotians to create, promote and participate in local and regional events that build a sense of pride in Nova Scotia during the celebration of Canada’s 150th anniversary of confederation. Canada Council for the Arts, which last year invested $153 million to bring the arts to Canadians throughout the country. Alexander Graham Bell Foundation is a nationally registered charity established to build and support the capacity of the community of Baddeck, Cape Breton and the province of Nova Scotia along with key partners such as the Bell Family Descendants and the Alexander Graham Bell National Historic Site in telling the story of Alexander Graham Bell and Mabel Bell – their legacy, contribution to the world, and the learnings and impacts that continue to be relevant to society today. Alexander Graham Bell National Historic Site is a place where interactive exhibits, films, artifacts, replicas and hands-on activities come together to share the story of one of history’s most accomplished inventors. One of 167 national historic sites, 44 national parks and four national marine conservation areas, Parks Canada sets the stage and invites Canadians, as well as people from around the world, to engage in personal moments of inspiring discovery at our treasured natural and historic places. 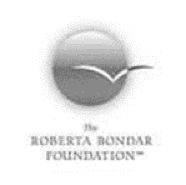 The Roberta Bondar Foundation was established in July, 2009 as a registered not-for-profit charity under the Income Tax Act of Canada. A significant donation of fine art photography by Dr. Roberta Bondar, a professional nature and landscape photographer trained at the Brooks Institute of Photography in California, comprise the basis for the Foundation’s exhibitions and learning materials. Cape Breton University is one of Canada’s youngest and most ambitious universities with a comprehensive set of liberal arts, science and professional programs and a unique commitment to community, economic development, Aboriginal learning and research into many aspects of environment and culture. Currently home to approximately 3100 students, CBU’s vision of higher education allows students to pursue diverse fields of study in programs with national reputations in final year student satisfaction, faculty-student interaction and employability. 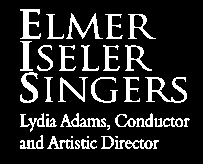 The Elmer Iseler Singers conducted by Artistic Director Lydia Adams enters its 38th Anniversary Season in 2016/17. This 20-voice fully-professional choral ensemble, founded by the late Dr. Elmer Iseler in 1979, has built an enviable reputation throughout Canada, the United States and internationally through concerts, broadcasts and recordings – performing repertoire that spans 500 years, with a focus on Canadian composers. 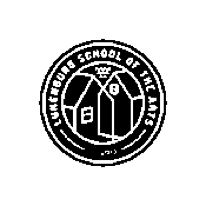 Lunenburg School of the Arts offers workshops led by professional art educators and working artists. Small and intimate class sizes allow students to work closely with instructors and each other, fostering self-expression in a supportive atmosphere. Programs encourage exploration, discovery and development of skills and ideas. The School is located in the heart of Lunenburg, a UNESCO World Heritage Site, a hub for arts and music. Musique Royale is a province-wide celebration of Nova Scotia’s musical heritage since 1985, bringing performances of early, traditional and world music to settings of historic and cultural significance throughout the province. Events are presented year-round on the South Shore of Nova Scotia.